Love them for the guys too! 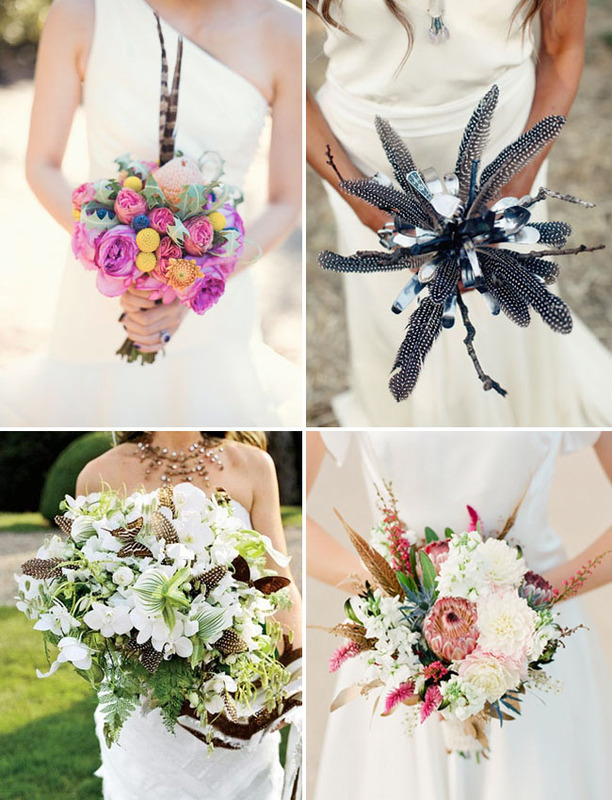 These feather boutonnieres are all by Pomp And Plumage which I totally love. 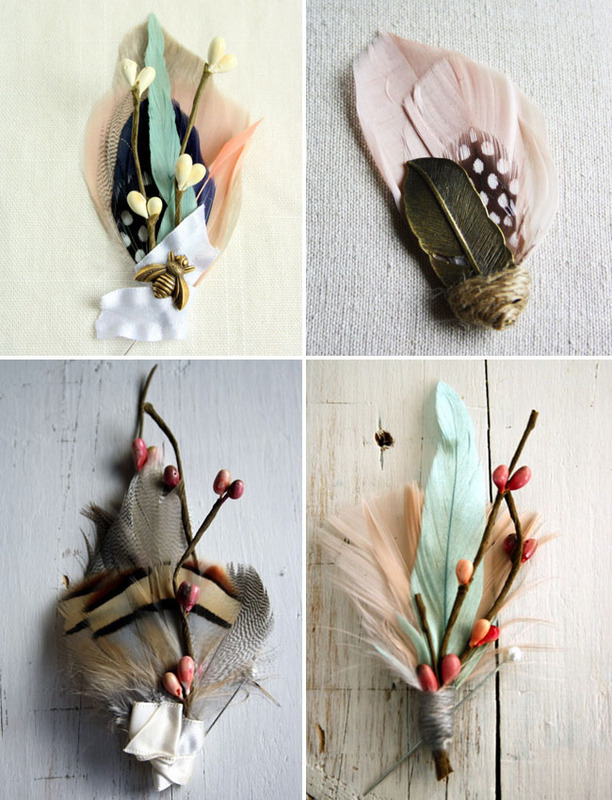 The fabric feather boutonnieres below is a super cute DIY also! 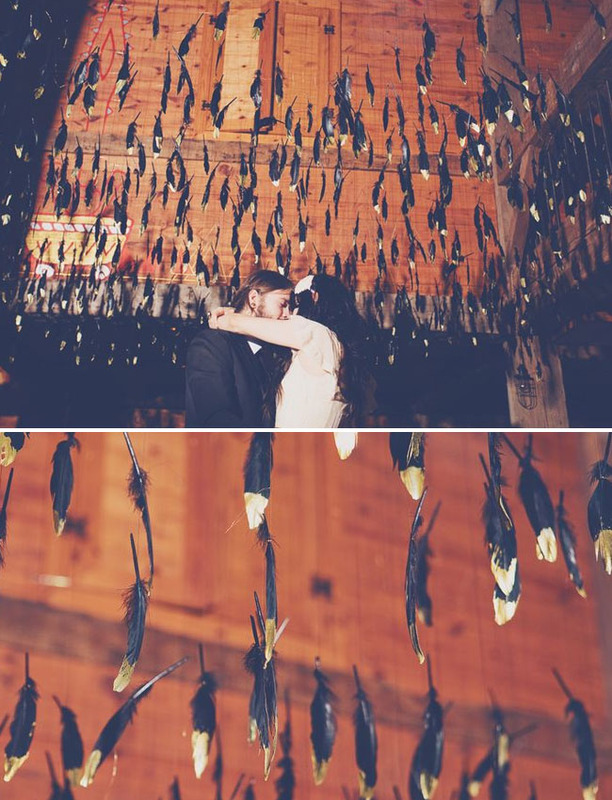 And love the idea of hanging feathers for garland! From feathers mixed with tassels, to these pretty paper feathers from this wedding to the feathers dipped in gold paint below, all make for quite a statement! Feathers on cakes are so pretty! 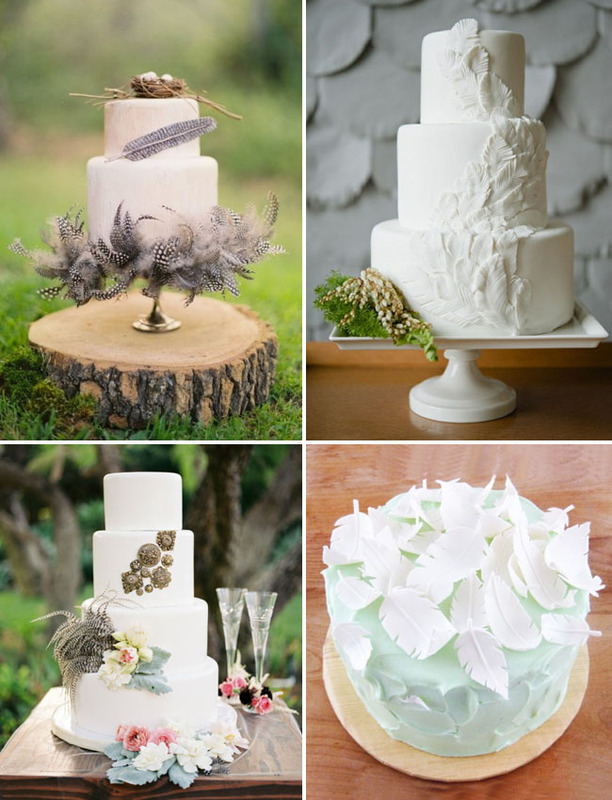 Top left is by Erica O’Brien and photo by Jose Villa, love the simplicity of this cake by Sweets Bakeshop via Ruffled Blog, a cluster of feathers or more elegant like this cake captured by Steve Steinhardt Photography. 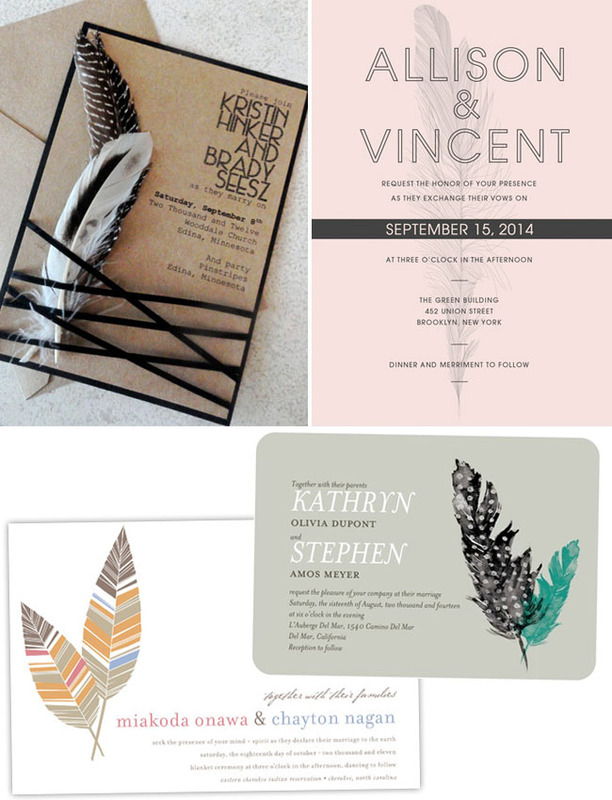 Invites by Champagne Press, Love Vs. Design, Wedding Paper Divas, and Minted. 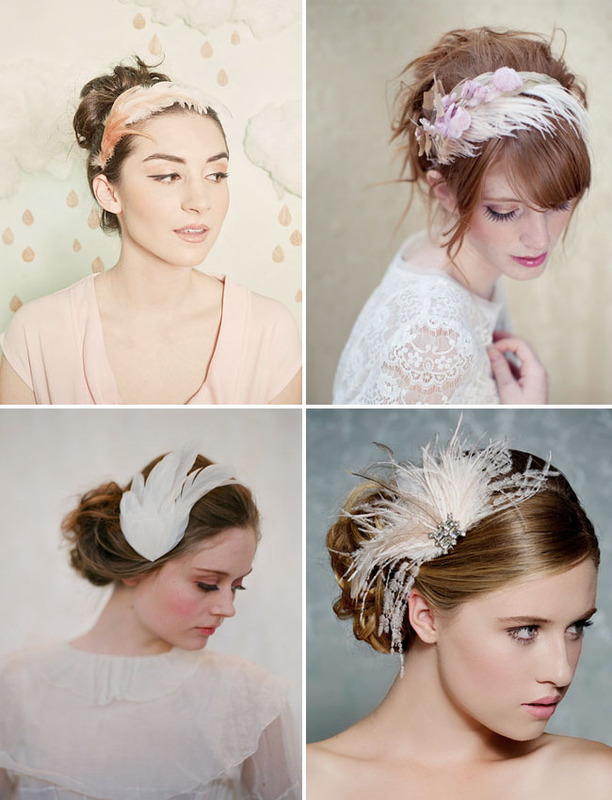 Pretty feathers for your hair! Designs by Mignonne Handmande, Lo Boheme, Glided Shadows and Twigs and Honey. Or maybe some feathers on your accessories is more your style. 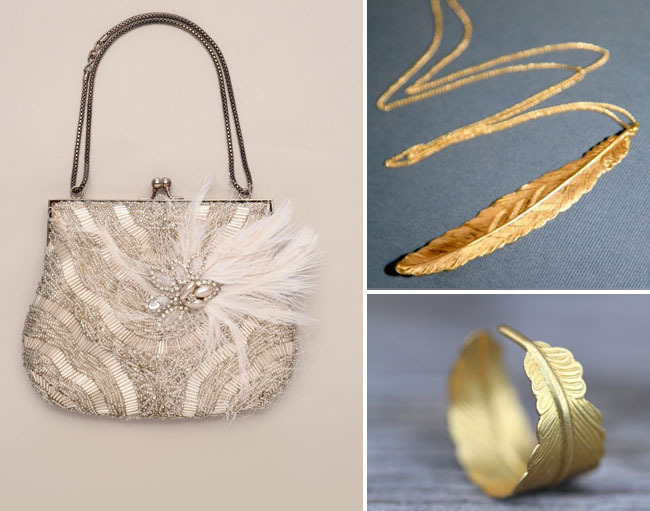 Love this beaded handbag by Untamed Petals, feather necklace and feather ring – all so chic! Feathers in fashion are also pretty big right now. Love the short feather dress from J. 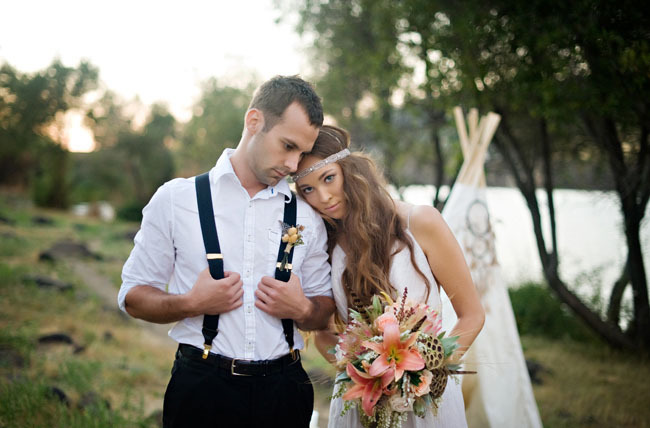 Crew, the feather caplet this bride wore, the feathers on this long wedding dress from BHLDN and this pretty feather sashby James Coviello. Or maybe feathers on your shoes! 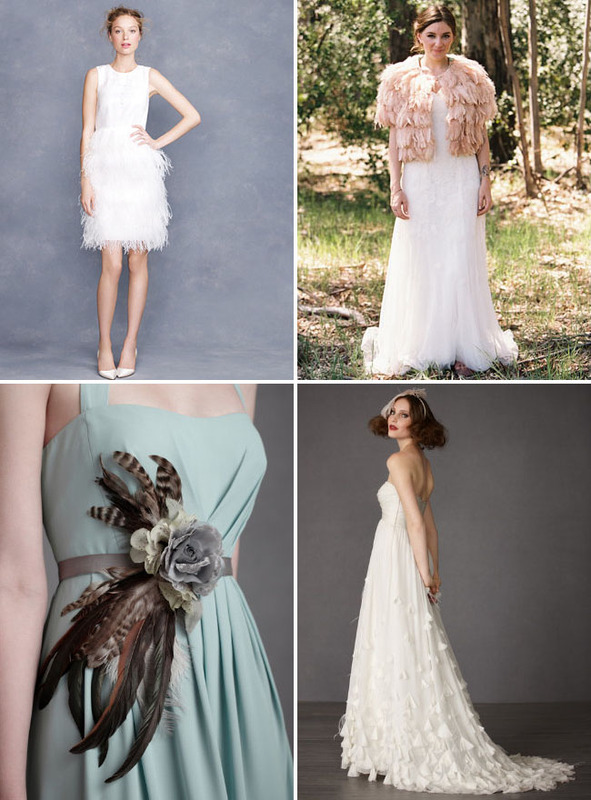 These top beauties come in a range of colors by Badgley Mischka, feather clips by Twigs and Honey, metallic leather feather shoes, and feather pumps from BHLDN. 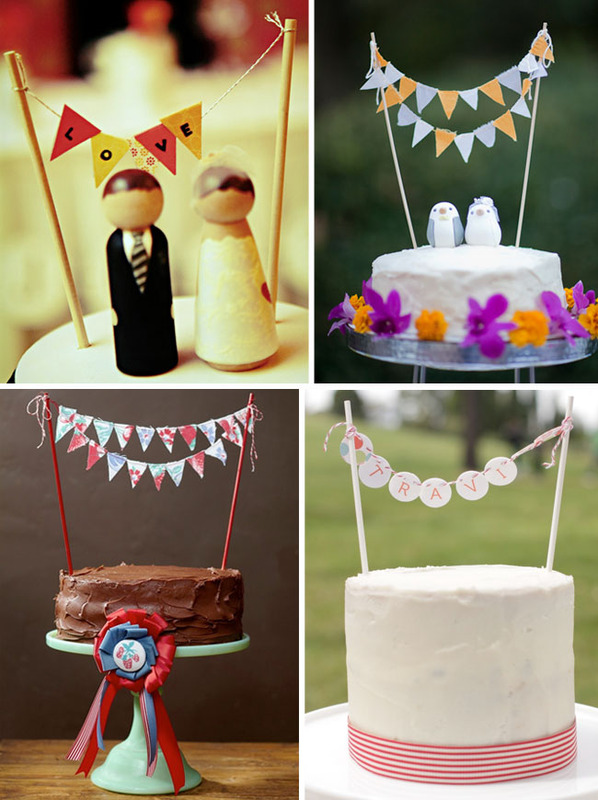 Love this wedding trend? 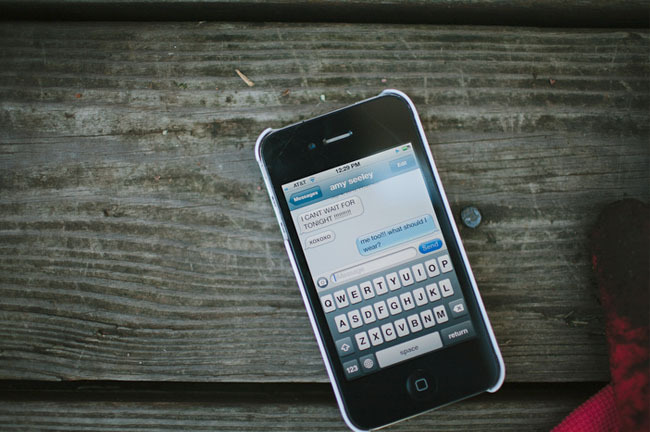 Check out our past favorite trends we were head over heels for! 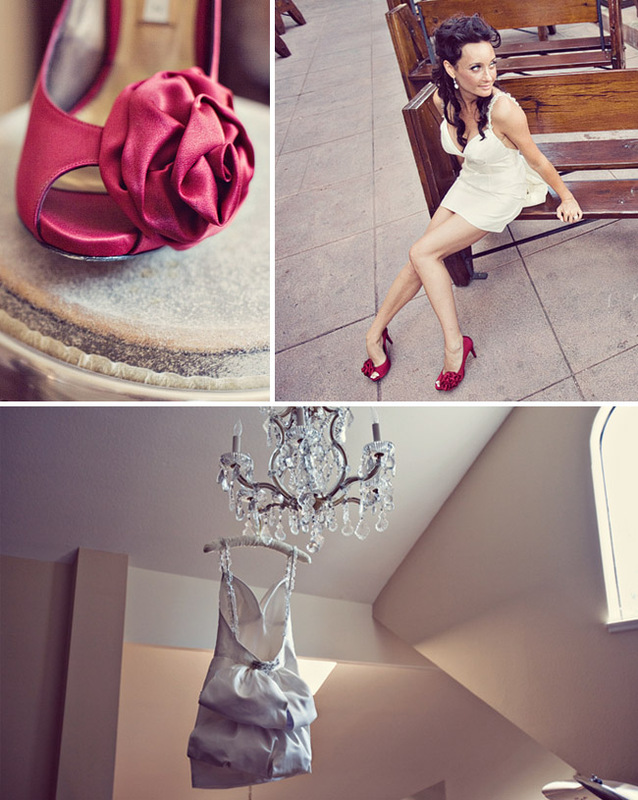 Wedding Dress Love: A Short Dress! Feathers are beautiful indeed and so are these pics, great inspiration! 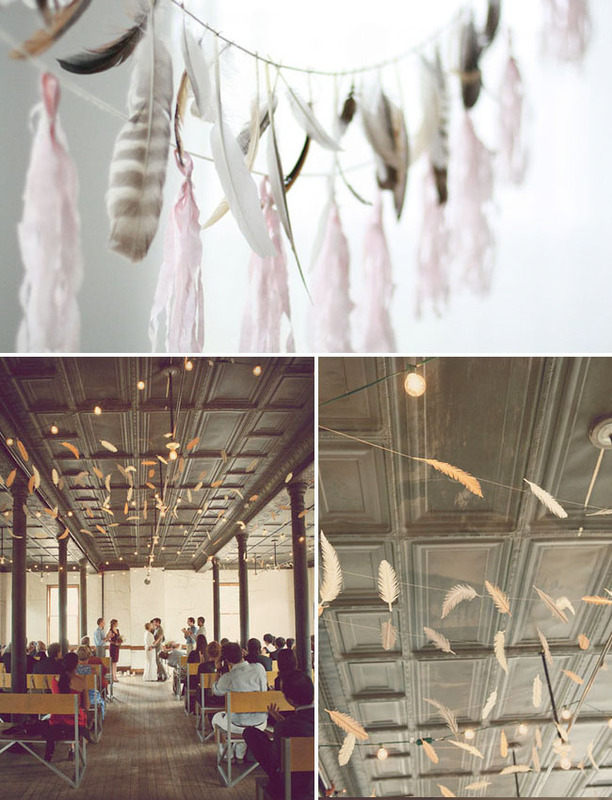 Feathers are very trendy right now at our venue. 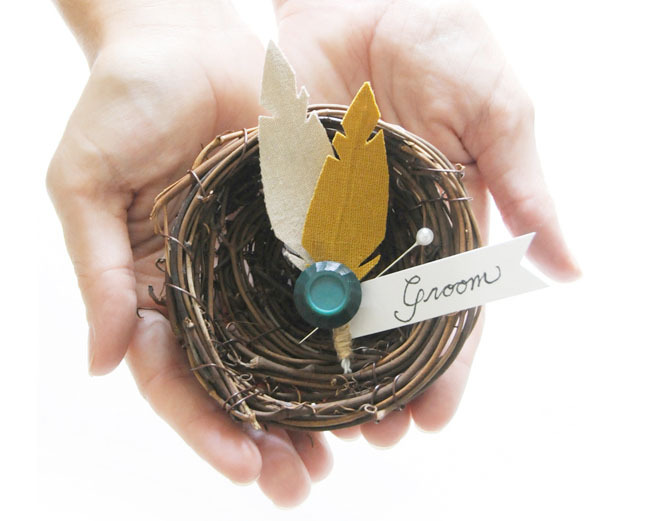 We recently had a couple incorporate them into some beautiful place cards – very different..
Love feathers! Such great inspiration here! 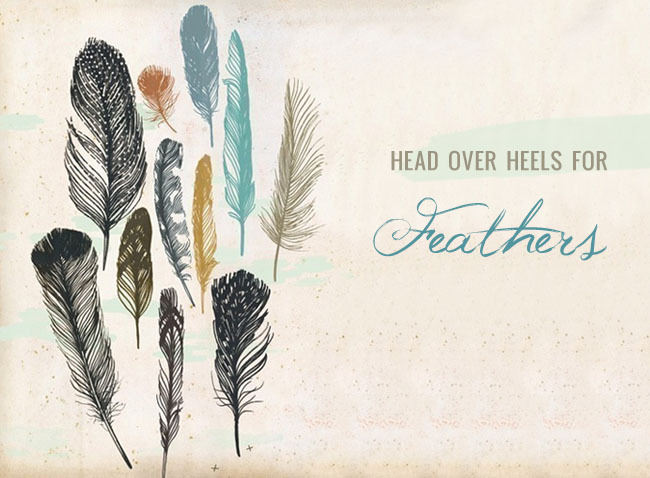 Feathers and perfect and make the perfect statement! Feathers are one of my favourite things – so beautiful.